In part 4 of his epic history Jim Kalafus tells the story of another unlucky Ward Line ship. the Mohawk. 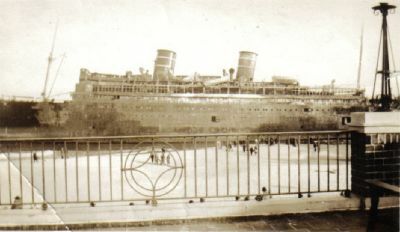 In January 1935, as salvage crews worked to remove the Morro Castle from the beach at Asbury Park, the Ward Line’s Havana set sail from New York with a light passenger load aboard. 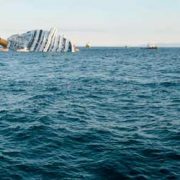 She was destined not to complete her voyage, and ‘though her mishap seemed relatively minor when compared to the tragedy of the previous September, it set the stage for a second major disaster. 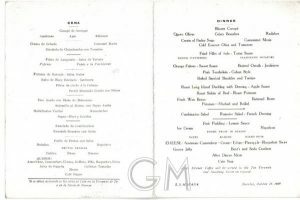 The Havana, which dated back to 1907, was not a particularly luxurious ship and was not in the same league as the Oriente in terms of interior design or amenities. 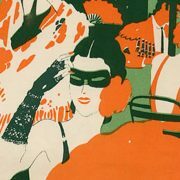 However, she had reasonably spacious interiors and offered solid comfort without ostentation. She sailed for the Ward Line for ten years, then served as the hospital ship USS Comfort 1917-1925. 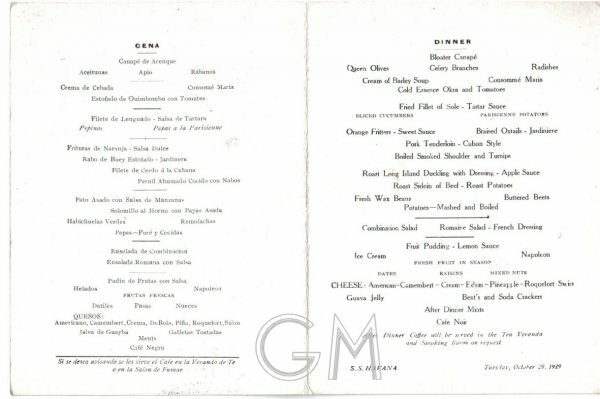 Repurchased in 1927, she returned to passenger service in 1928 with one of her original two stacks removed and her interiors modernized and upgraded. 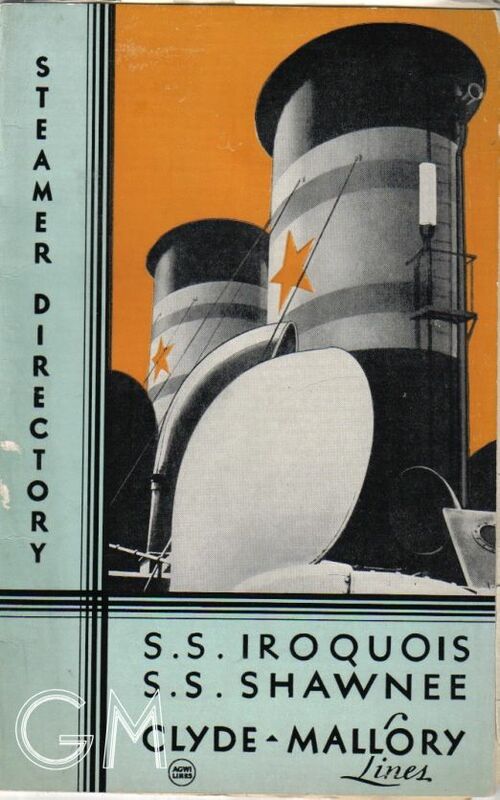 In the Line hierarchy, she was third tier almost from the beginning of her renewed service, with Morro Castle and Oriente unquestionably the flagships after 1930, and Siboney and Orizaba placed behind them. 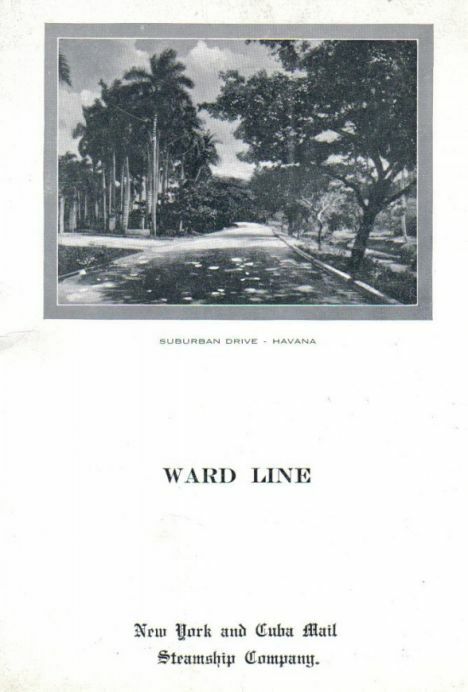 Havana was not a headline grabber during her final seven years under that name, but was instead a dependable and affordable — important in the depression years — unit of the Ward Line fleet. 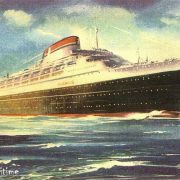 Three days our from New York, en route to Havana, Cuba and Veracruz, Mexico the Havana grounded on Mantilla Reef north of the Bahamas at 3:40 AM on January 6th 1935. She sat solidly aground, in clearly marked shoal waters, within sight of a buoy which marked the reef, being battered by high seas and by 6 a.m. was holed and taking in water. A distress call was sent out, and help soon arrived in the form of the Oriente as well as the Coast Guard cutters Vigilante and Pandora. The majority of the passengers -37- were rescued by the Miami bound El Oceano. However, during the evacuation a passenger, R.W. 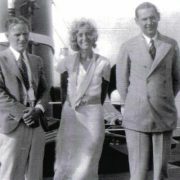 Rittenhouse of Brooklyn died of “apoplexy” and two – possibly three – other persons were missing after being swept out of a lifeboat by high seas. The following afternoon, as seas moderated, observers on planes that circled the stranded vessel reported that the 85 passengers and crew who remained aboard the Havana were nonchalantly playing shuffleboard or lounging on deck awaiting rescue. Among the crew was Morro Castle survivor Charles Wright. Havana remained aground for three months. When finally freed, she was repaired and renamed Yucatan before her return in June 1935. She remained in the service of the Cuba Mail Line as a passenger ship through 1940, at which point she was converted to a freighter. 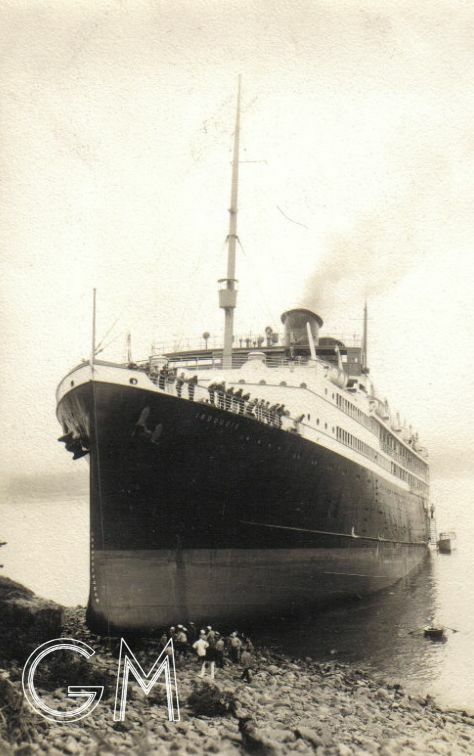 She sank at her NYC pier later that year, was raised, repaired and renamed AGWILeon. 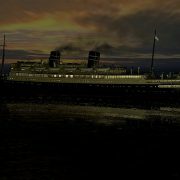 She served during World War 2 as the hospital ship Shamrock and was finally scrapped at Oakland, California, in 1948. 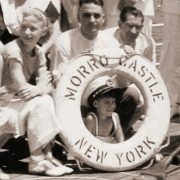 Several crewmembers who survived the Morro Castle disaster were aboard the Havana when she grounded. AGWI, the parent company of Cuba Mail Line, transferred Clyde-Mallory’s Mohawk to Ward Line service to fill the double gap created by the loss of the Morro Castle and the disabling of the Havana. These men, among them Charles Wright whose account was given in the Morro Castle segment of this site, boarded the Mohawk on her Ward Line “Maiden Voyage” not imagining that their service with her would end disastrously in less than six hours and almost within sight of the Morro Castle’s hulk.